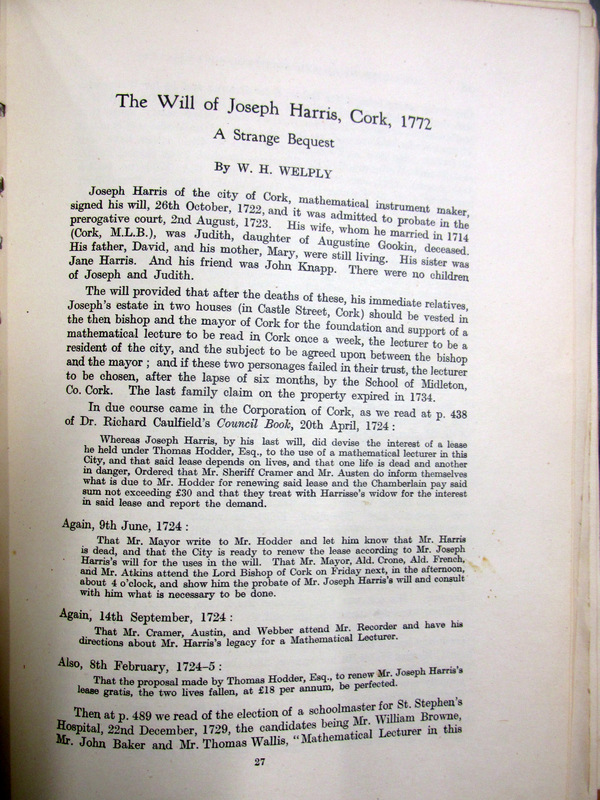 Copy of Will of William Joseph Harris, Mathematical Instrument Maker, Cork, and other Wills copied by Welply pre 1922. 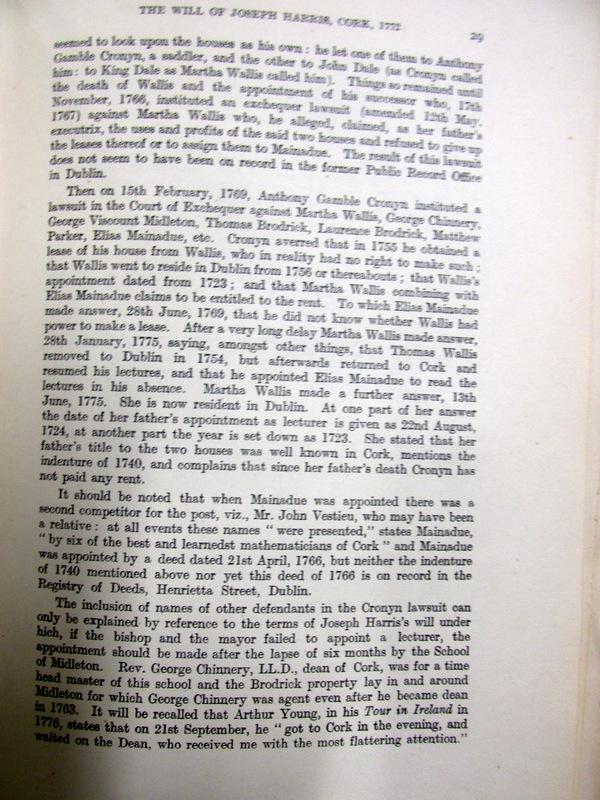 Welply a Cork Antiquarian copied many historical documents prior to their destruction in the Public Records Office in 1922. He was a Senior School Inspector who opted on Partition to move to Northern Ireland. He died there in the 1950s in his 90s. 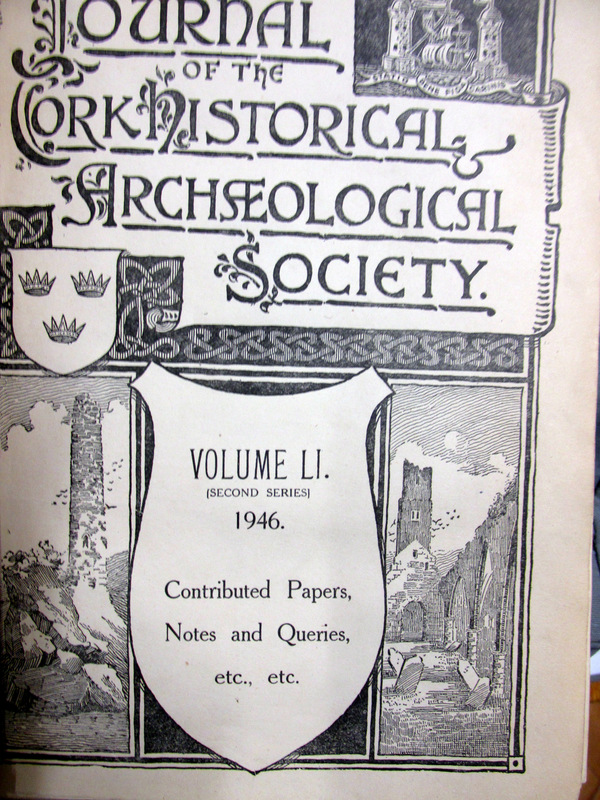 All along he kept up his interest in Cork history. 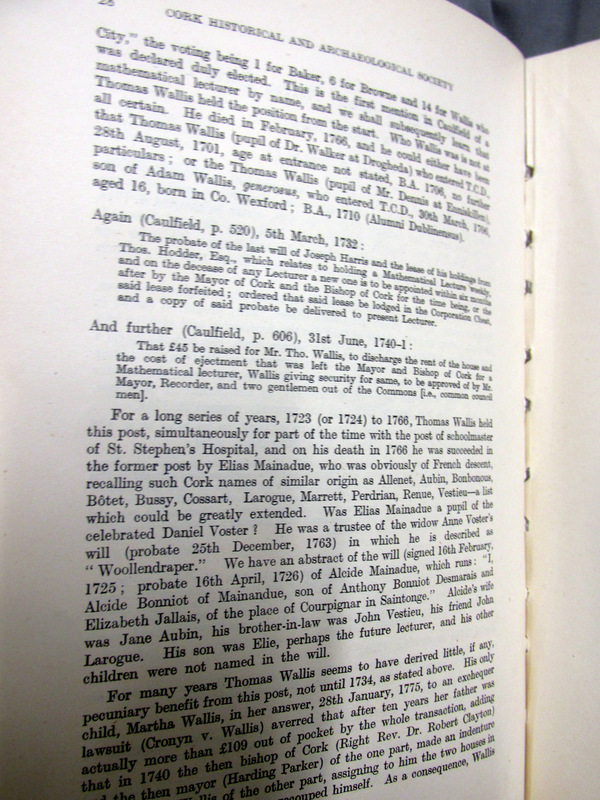 As he points out in one of his articles he is a McCarthy, the Welply name being adopted in the 18th century. 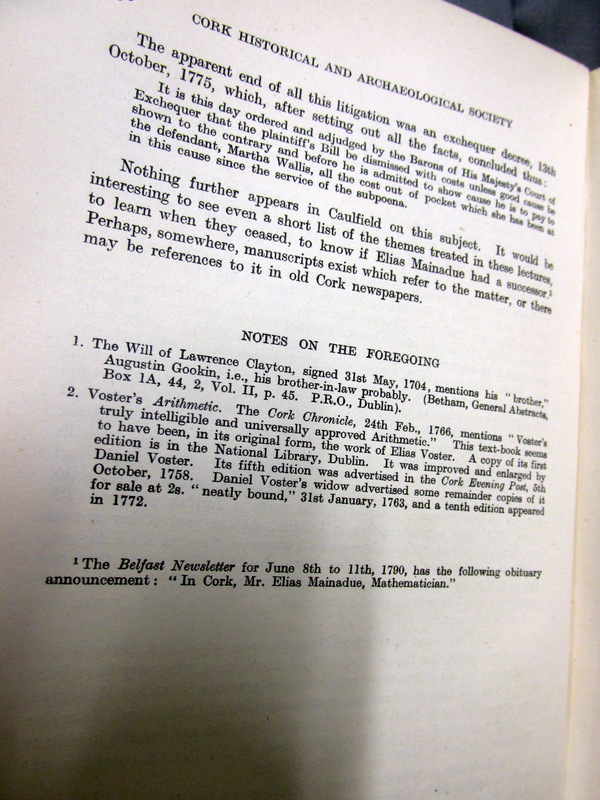 The RCB Library in Rathgar, Dublin have his papers.